I am at the moment where i need to buy some new tyres and have been considering dropping a size to 18" rims. 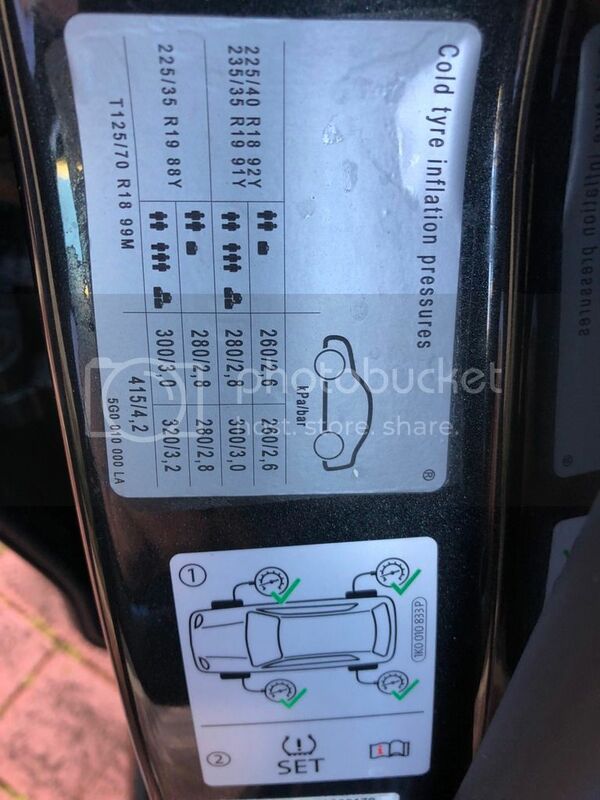 Does anybody have a photo they can take of their tyre placard label (if you had this replaced), I haven't been able to find a photo online of the replacement placard. This might be a long shot as it only applies to the clubsport i believe....only 411 VIN numbers affected. Anyone have any advice as to what wheels will fit or what size is best? Would be interested if anybody has done this, post a photo if you can. 19's too susceptible to bad roads ? I agree I have 225/35/19 always scared of pot holes worse than 235/35/19...I .am considering 245/35/19 as I have a set of OZ Racing 19 x 8.5 ready to go. I assume they will not rub ! I agree let us know what you end up with.